In St. Agnes – a church space now used as an exhibition space the polish artist Alicja Kwade showed how movement can sound like. 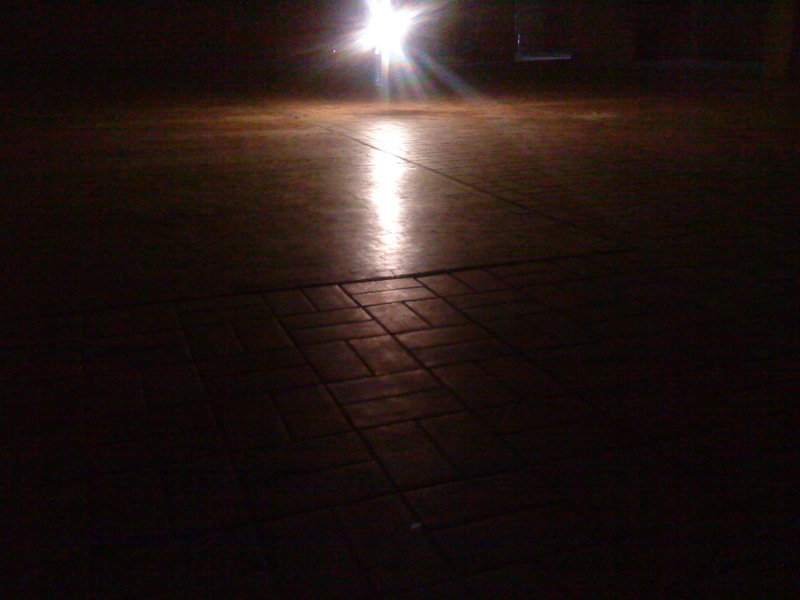 The entire church space is only lite up by one single light. 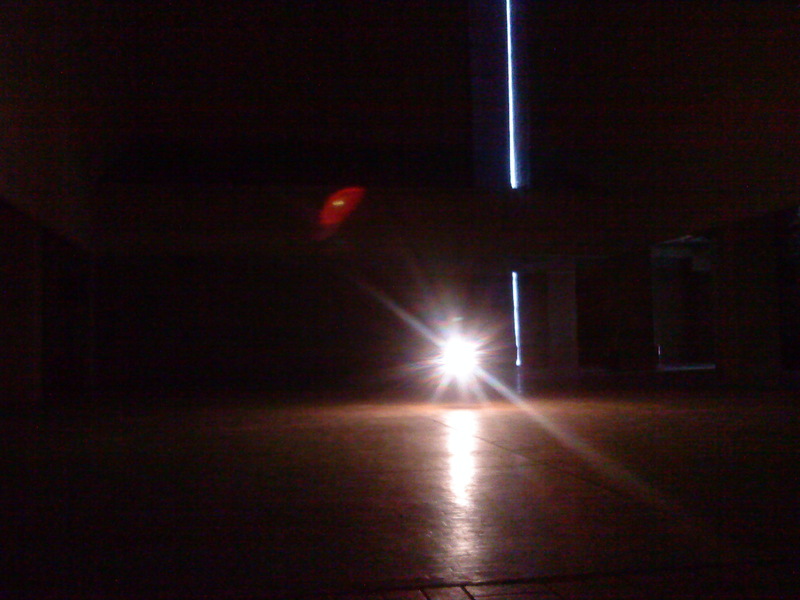 No other light is in the room apart from the occasional daylight appearing whenever participants enter the churchspace. 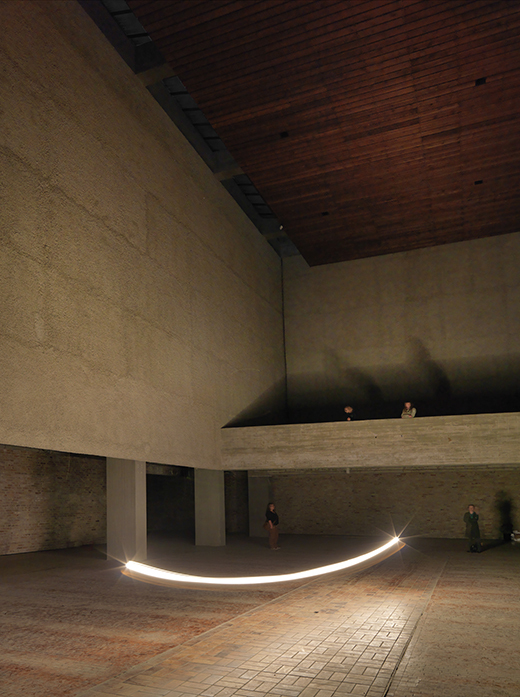 The beautifull and powerful installation consisted of one single lightbulb attached to the church ceiling, hanging almost all the way to the church floor. The light was swinging similar to a pendulum back and forth in approximated regularity. 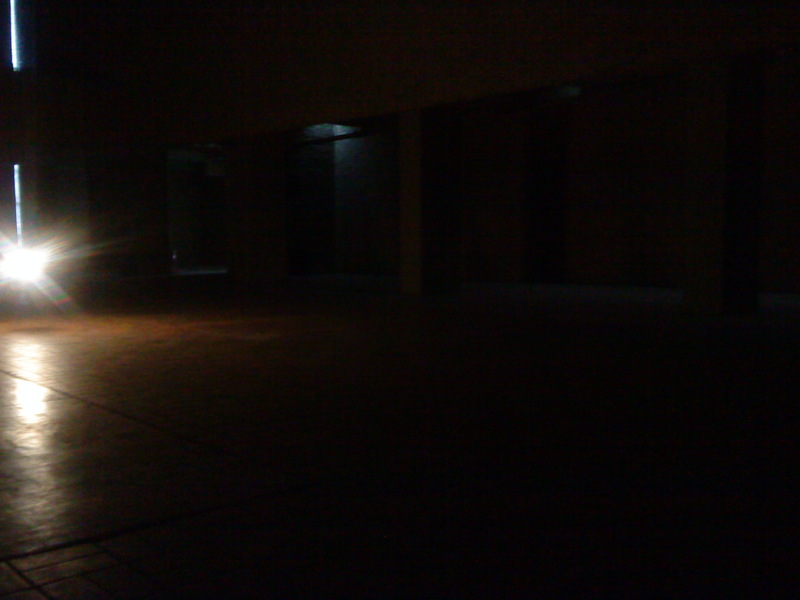 The resistance of the swinging lightbulb – the movement is recorded and played in what is experienced as realtime. Turn your back on the swinging light – still hearing the motion and the resistance in the space around the lightbulb – not only your shadow but also the other participants shadows increases and decreases in size, distorts the shape of the human body still keeping it’s familarity. 23 Apr	This entry was published on April 23, 2014 at 11:16 am. It’s filed under Art and tagged art, installation. Bookmark the permalink. Follow any comments here with the RSS feed for this post.